Looking for the perfect gift for the natural living buff in your life? Well, stress no more – you’ve come to the right place! 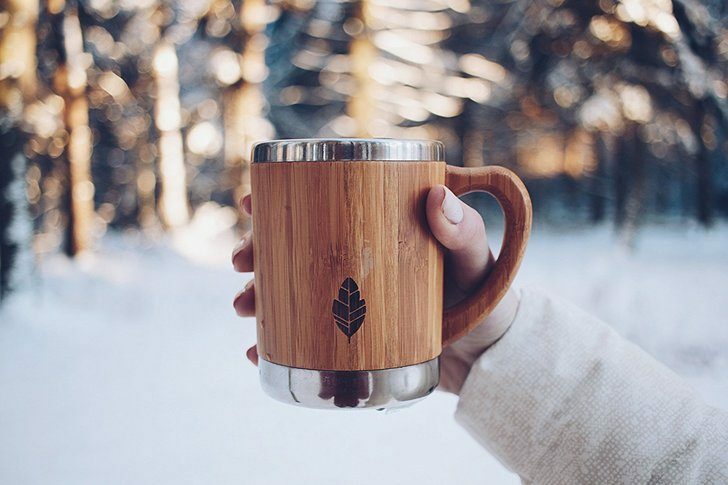 With everything from bamboo travel mugs and green tea ceremony sets to aromatherapy pet collars and Himalayan candle holders, this list of 25 great gift ideas has got you covered. These softly glowing lamps make a perfect gift for anyone. 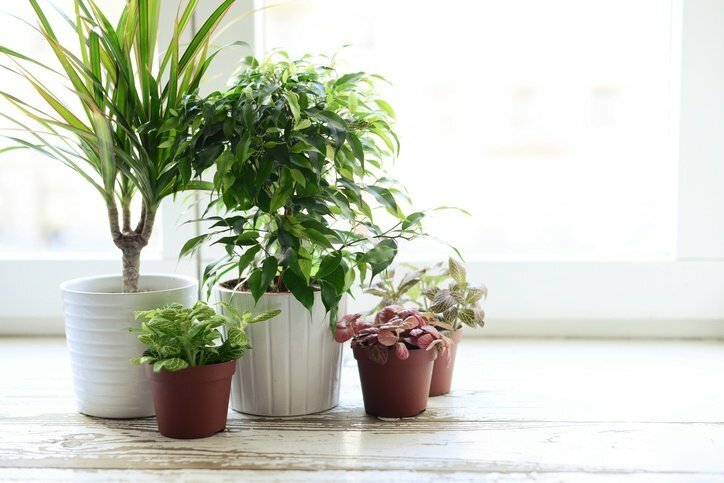 Not only do they look beautiful and lend a serene feel when illuminated, but they cleanse and deodorize the air, reduce allergy symptoms, promote quality sleep and boost mood and concentration levels. But that’s not all they do – for even more fantastic benefits of the Himalayan Salt Lamp, have a read of this article. Or, for a salt lamp that looks a little bit different to the norm, try this mesh basket lamp filled with salt rocks! Lamps aren’t the only way to gift the benefits of Himalayan Pink Salt! You can also purchase it in the form of candle holders – pairing the purifying properties of the salt with the soft flicker of a tea light candle. Used to disperse a beautiful scent throughout the home, elevate mood, improve cognitive function, repel insects and more, essential oil diffusers are a fantastic gift idea. Here’s why every home should have one. Whether gifted with the essential oil diffuser, or on their own, essential oils are a functional and practical gift for all natural living buffs. Each blend brings different healing properties and unique uses. In the case of our recommended gift below, lavender is calming; tea tree oil is a powerful antiseptic; eucalyptus is a decongestant; lemongrass balances hormones; sweet orange promotes feelings of happiness and warmth; and peppermint repels spiders and other bugs! These lockets allow you to enjoy the beautiful scent and therapeutic powers of essential oils while on the go! The scent used can be changed regularly to suit the mood, and needs, of the wearer. These pendants are elegant, functional and durable, and are made from hypo-allergenic stainless steel, meaning you can gift with confidence. The pet, or pet lover, in your life will appreciate this gift – a lightweight and flexible collar with a little pocket to hold essential oils. It’s a great way to treat animal ailments like allergies, digestive issues and anxiety, or to prevent ticks and fleas the natural way. Best of all, for every Schmoozies collar sold, one is donated to a shelter animal! Candles are one of the most gifted items – with 76% of people believing they’re a great holiday gift. But because of paraffin wax, lead wicks and artificial fragrances, most scented candles do more harm than good. Thankfully, if you look hard enough you’ll find natural candles made with soy wax, cotton wicks and a blend of essential oils – an ideal gift for the health-conscious candle aficionado. Candle loving crafters will relish the chance to make their own high-quality soy candles, scented with their own custom blend of essential oils. This kit includes step-by-step instructions for first time candle makers, a pouring pot, natural soy wax, wicks, thermometer, jars and containers and more. These cute and quirky glass tumblers are crafted from recycled wine bottles used in premium local restaurants in Miami. They’re also unique – thanks to the production methods, no two sets are alike! By buying recycled instead of new, smaller quantities of raw materials are used, less energy is needed and less landfill is produced. 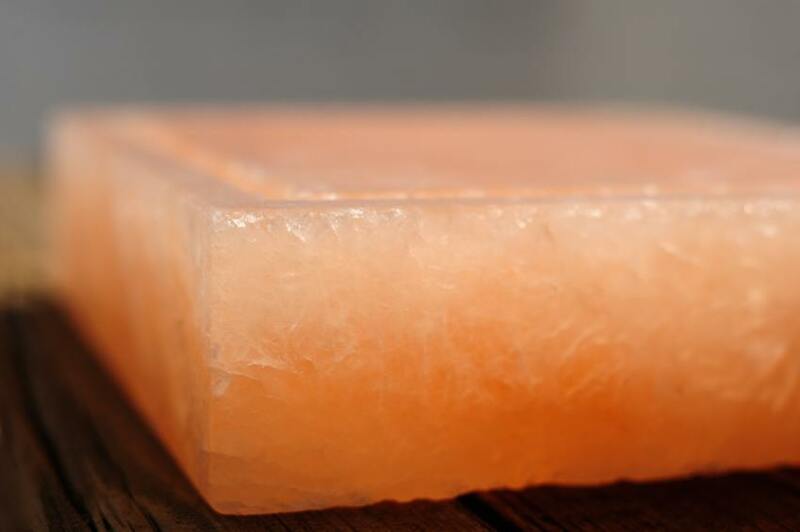 Listed among the Top 10 Must-Have Gadgets, Tools & Gizmos for natural health enthusiasts, a Himalayan Salt Block is coveted by natural living foodies everywhere! This block works as a chopping board, a unique platter for serving appetizers, or even as a dish for grilling, searing and baking! Thanks to the fact that it’s made from salt, it never needs to be disinfected and even adds flavor to the food! Bamboo cutting boards are both eye-catching and environmentally friendly. Bamboo is very different from wood – it’s a grass that doesn’t need to be replanted and can be harvested every three to five years. Bamboo boards are also more dense than wooden ones, meaning they are less likely to be damaged by a knife, thus reducing the accumulation of bacteria and water damage. They look pretty stylish too and come in three handy sizes for all chopping needs. Gift good health with an organic Kombucha starter kit. Kombucha is a fermented tea, high in a powerful antioxidant called DSL, along with Vitamin C. It’s believed to detoxify the body and protect against cell damage and inflammation, all while boosting the immune system. This comprehensive kit includes everything that’s needed to brew that first gallon of kombucha. It also includes the ‘Scoby’ (which starts the fermentation process) and equipment to brew for a lifetime! If there’s one thing all natural living fans need, it’s a glass water bottle. That’s because, every year in the US, 17 million barrels of oil are used to make plastic water bottles – enough to fuel 1.3 million cars for the year. Stainless steel is an ideal way to pack lunch and snacks – especially as plastic food containers are often a source of hidden toxins. These cute bento boxes encourage healthy eating and eco-friendly habits. Gift one to mini eco-warriors for their school lunch, or to friends who are a fan of ‘clean’ eating! This simple and stylish glass coffee maker would be the perfect surprise for coffee lovers (and addicts) everywhere, and is a far more environmentally friendly choice than a single-cup coffee machine. Some say it makes the perfect cup of coffee because, as hot water is simply poured over the grounds, it can never be over-brewed. Plus, the coffee grounds never even touch the glass meaning it’s a breeze to clean. Reusable travel mugs are another thoughtful green gift. Did you know that Americans drink more than 14.4 billion cups of coffee from disposable paper cups? If placed end-to-end, these cups would wrap around the Earth 55 times. This stylish and colorful mug is made of high quality Bamboo and is fitted with a non-slip silicone grip and food grade silicone lid. It’s also BPA free. Know a busy parent or health-conscious workaholic? A crock pot/slow cooker could be just what they need! What’s better than walking in the door after a hard day’s work to a delicious slow-cooked meal? And, slow cooking is energy efficient too! Once the crock pot is brought to its temperature, insulation means it stays hot for up to six hours. Matcha green tea is one of the most potent and healing drinks known to man, and has been prized for centuries throughout Asia. Among its health benefits, it is said to fight illness, improve concentration and energy, boost the immune system and reduce cholesterol levels. Gift a tea ceremony kit so your friends and family can partake in this long standing tradition of Japanese culture. With certified organic tea, a handmade tea bowl, bamboo spoon, whisk and whisk holder, it’s sure to be a valued item. Herbs and spices confer a wealth of benefits – from boosting immunity and preventing cancer to helping weight loss and killing pain. And let’s not forget the flavor explosion they lend to any meal! This simple starter kit contains the top twelve culinary herbs and spices – from cinnamon to oregano – and all of them are certified organic. It makes an excellent starter set for newlyweds, students, and new home-owners. With so much concern around genetically modified foods and hybrid varieties of plants, green gardeners will welcome a packet of 100% Organic Heirloom Seeds with an incredible 60 varieties of vegetables, fruits and herbs! These USA grown, high quality seeds have over an 85% germination rate and can be stored long-term in the freezer – for up to 15 years! This gift also comes with a 145-page ‘how-to’ guide. Budding gardeners may like an organic kitchen herb kit featuring three indoor planters with organic basil, organic parsley, and non-GMO mint seeds. The colorful jars will brighten up any kitchen and the fact that they are self-watering is a huge bonus! Konjac sponges are eco-friendly and natural sponges made from edible vegetable roots. Even though they’re super soft, they provide a fantastic, deep-cleaning experience for the skin. And after use, they can be added to a flower pot or composted! Natural beauty fanatics will be thrilled with a konjac sponge infused with turmeric, known to benefit the skin in a multitude of ways – including preventing wrinkles, and speeding up the healing process. To revive the complexion and to reduce blackheads and acne, opt for the Activated Charcoal and Green Tea sponge. Much of the commercially produced personal care and beauty products contain a surprising number of toxic ingredients, some of which are known carcinogens and hormone disruptors! These luxury, all natural soaps are different. Containing four bars, and presented in an embossed gift box, they are eco-friendly and free from GMOs, parabens and sodium lauryl sulfate. Instead of chemicals, they’re produced using ingredients like olive oil, coconut oil, shea butter, calendula flowers and essential oils. Know someone who is always mixing up various lotions and potions for their skin and hair? Chances are, they would love these black glass apothecary jars! Incredibly striking, these jars have been specially created to preserve and rejuvenate the freshness of plant-based goods for over six months! DIY beauty enthusiasts won’t ever be disappointed by a bottle of high quality oil like jojoba or argan; or a tub of shea butter, to help them whip up their all-natural pampering products. Get it Here: Leven Rose Organic 100% Pure Cold Pressed Unrefined Natural Jojoba Oil; 100% Natural, Organic, Cold Pressed Moroccan Argan Oil; or Majestic Pure Unrefined Organic Shea Butter, Raw Grade A. GIVEAWAY: Win A Himalayan Pink Salt Lamp – 5 To Be Won!